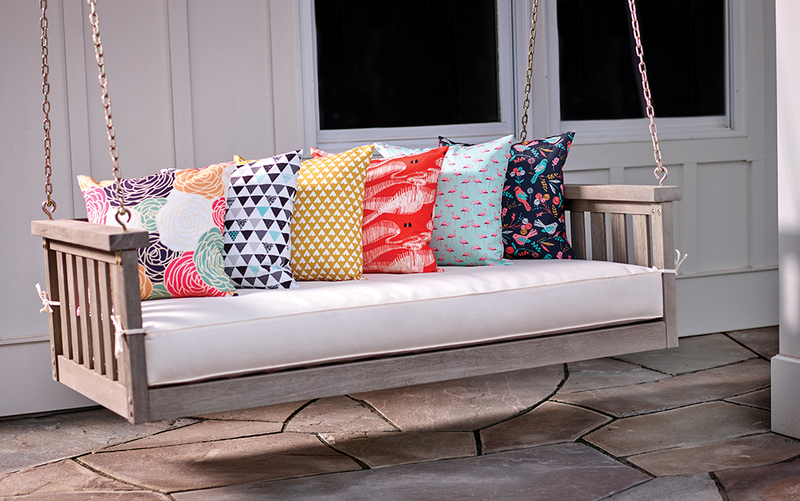 Stitching up a simple throw pillow is a fast, low effort way to spruce up any space. Our amazingly creative friend Lia Griffith shares a simple video on how to make your own zipper pillow–an easy project for sewists of all levels. With every craft skill we have to start somewhere, and approaching your first sewing project can be daunting. One of the best first projects to attempt on your sewing machine is a simple pillow with a zipper opening so that it can be removed and washed. It comprises two pieces of fabric, straight line stitching and a zipper – it could not be more simple. And you get the benefit of making something new and fabulous to add to your home or to give to a friend. Create your own zipper pillows using this same fabric designed by Lia by heading over to her Spoonflower shop! Theresa from the Spoonflower crew is here today to share a super simple tutorial for a small zippered pouch! 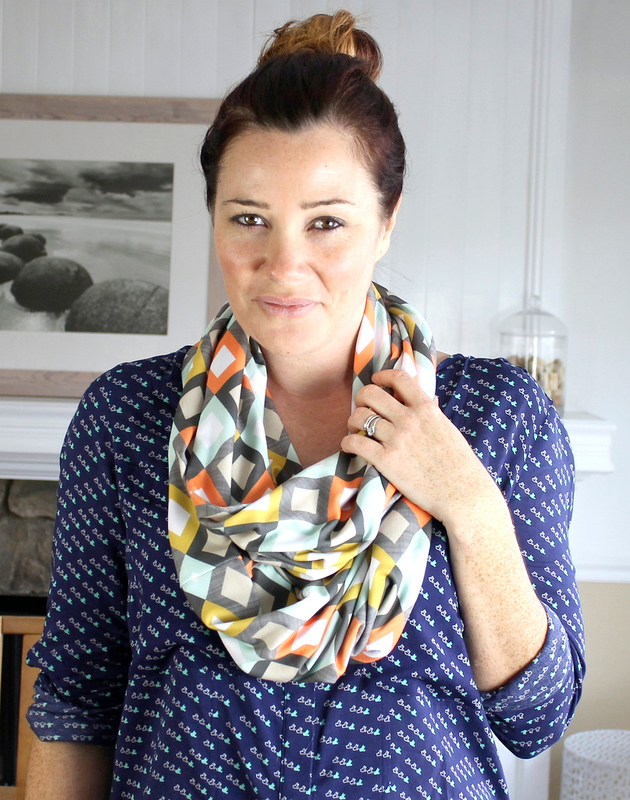 You only need a small bit of fabric for this project, so it’s a perfect opportunity to use up your Spoonflower test swatches or your favorite fabric stash scraps. Theresa made her pouch with our brand new Faux Suede, and she shares some tips on how to work and sew with this cool textured fabric. This little pouch is just right for stashing all sorts of goodies, and is also a great project for learning how to sew a zipper. Theresa: Listen up beginning sewists and zipper-phobes, this one’s for you. All you need for this project are two 8″x8” swatches of medium weight to heavy weight fabric (I’m using Spoonflower’s amazing new Faux Suede) a zipper, some scissors and of course your trusty sewing machine and zipper foot. We don’t need to line our pouch since the faux suede is already thick and durable, making this the perfect quick beginner sewing project. Talented designer Natitys (Eloisa) visits the blog today to share some of her sweet cut & sew doll templates with you. She’ll show you how to customize the patterns to make your own unique doll, and upload your file for printing. These templates make a quick, simple and personalized project that fits perfectly onto just a fat quarter of fabric. Eloisa: I think handmade dolls are one best gifts anyone could receive, especially when your doll is designed just for you! In this tutorial, I’ll show you how to change colors of the skin, hair, outfits and add accessories to these pre-designed doll patterns so you can add detail and personalization that’s all your own! 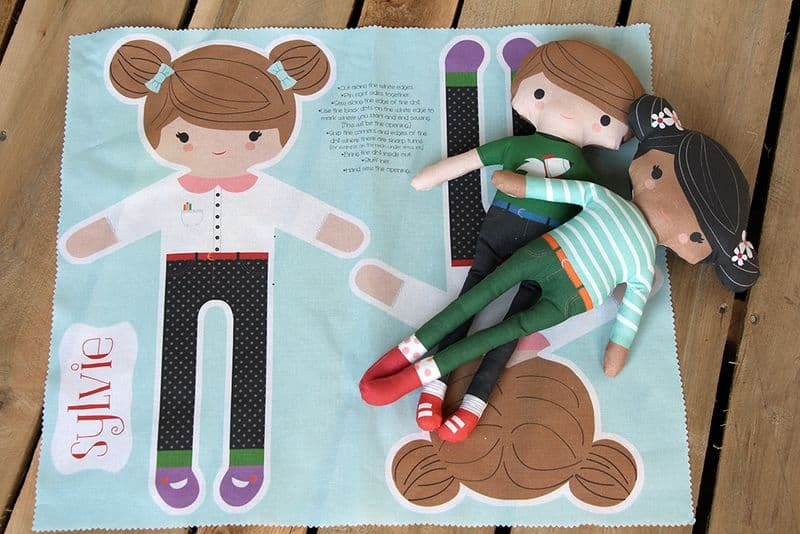 Versions of my cut & sew dolls, Lili and Sylvie made up in Silky Faille fabric. For an even cozier alternative, select Fleece.